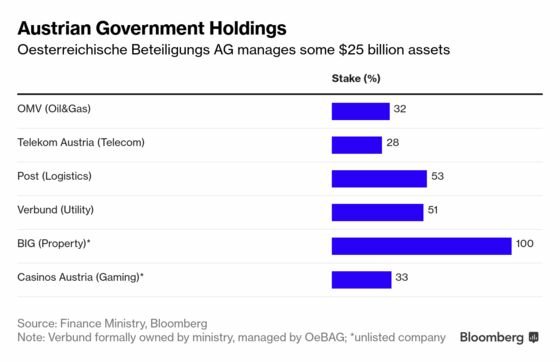 (Bloomberg) -- For the management of its roughly 22.7 billion euros ($25.5 billion) in assets, the new officers of Austria’s state holding company say they will follow the guideline of stable payouts, not politics. When the Alpine nation’s revamped holding company Oesterreichische Beteiligungs AG, or OeBAG, makes its presence felt on the supervisory boards of companies such as OMV AG or Telekom Austria AG, it will be for returns rather than political gain, Chairman Helmut Kern and Chief Executive Officer Thomas Schmid said in an interview in Vienna. This more activist push at companies in which OeBAG holds stakes, including Oesterreichische Post AG and Verbund AG, comes as Chancellor Sebastian Kurz’s government overhauls Austria’s main vehicle for industrial policy. The move would end years in which it seemed to drift passively, wasn’t directly present in boards and didn’t prevent foreign takeovers. OeBAG has got no mandate to sell any more assets but is able to make investments once a committee advising on deals is complete. 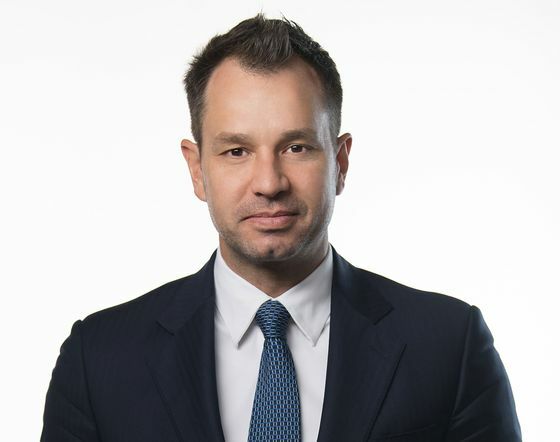 Schmid, 43, was appointed OeBAG’s CEO last week. A former chief of staff of Finance Minister Hartwig Loeger and his predecessor, he managed Austria’s partnerships with Abu Dhabi’s Mubadala Investment Co. and Carlos Slim’s America Movil SAB, investors who co-own OMV and Telekom Austria, respectively. 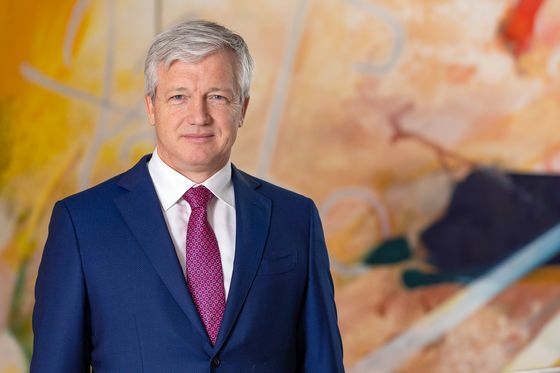 Among Schmid’s first tasks will be participating in upcoming annual general meetings of the companies in OeBAG’s portfolio and finding new supervisory board members, he said. He’s also in the process of searching for members of a newly created investment committee for possible deals. He declined to comment on potential targets. Austria owns 28 percent of Telekom Austria, second to Slim’s 51 percent. Its holding in OMV is 31.5 percent, while Mubadala owns 24.9 percent. It has 53 percent of the country’s postal operator, which is also listed and widely held, and 33 percent in closely held Casinos Austria AG. Property company BIG is fully owned by OeBAG. The 51 percent stake in utility Verbund will remain directly owned by the ministry but also managed by OeBAG. Kurz and Schmid helped sealing deals between OMV and the Abu Dhabi National Oil Company over the past 12 months. OMV is investing in oil and gas fields, refinery assets and petrochemical plants to expand in the Middle East and Asia in its biggest ever expansion steps. “We’ll be a reliable, predictable and professional institutional shareholder that supports its companies,” Kern said. While OeBAG will take a more assertive role, it won’t push companies to take decisions detrimental to their long-term growth and profitability targets for political reasons, Kern and Schmid said. “There won’t be any operational influence from our side, and the companies will strictly be run on economic criteria, the times when politics tried to intervene are over,” Schmid said.